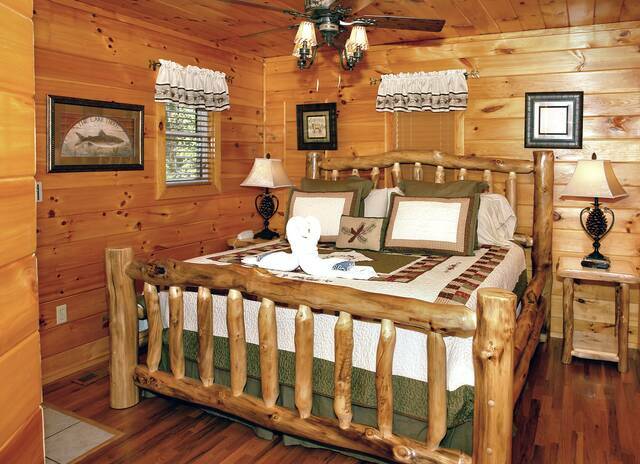 Escape to the Great Smoky Mountains in your very own private and secluded log cabin and experience Tranquility. 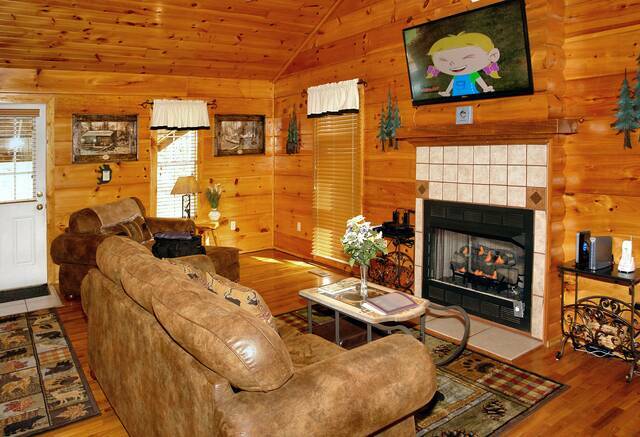 Tranquility Log Cabin is 15 minutes from Dollywood and has everything you're looking for in your relaxing vacation to the Smoky Mountains. 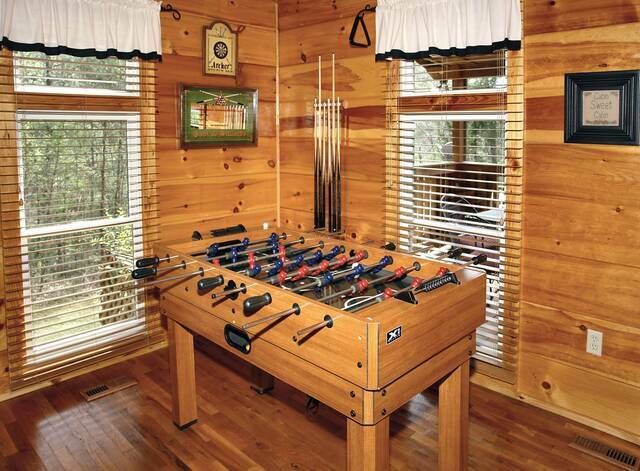 With this true log cabin you can enjoy the peaceful surrounding of The Great Smokey Mountains National Park in your very own Log Cabin Retreat yet minutes away from Pigeon Forge and Dollywood. 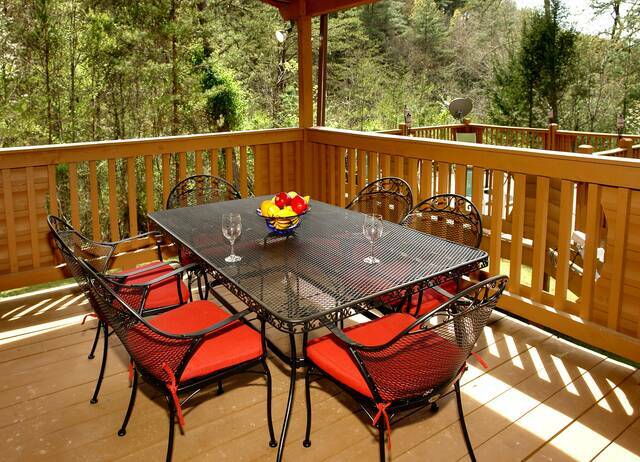 Just imagine.... a private and tranquil mountain setting, relaxing on the covered porch, enjoying that first cup of complimentary coffee in the morning as you experience nature "up close" and personal. 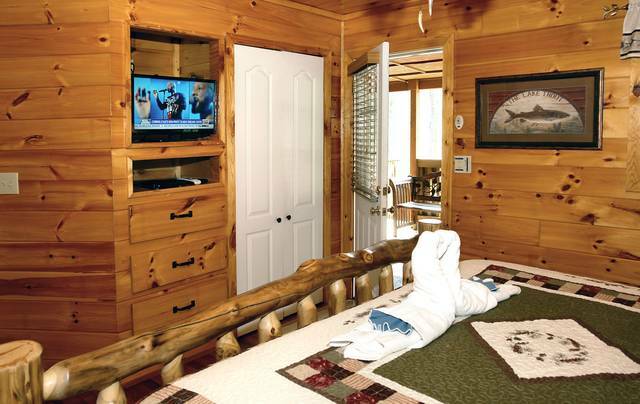 Retreat to your cozy "one level" log cabin, enjoy the warmth of the gas fireplace and relax in the comfy living area with flat screen, blue ray and premium football channel. 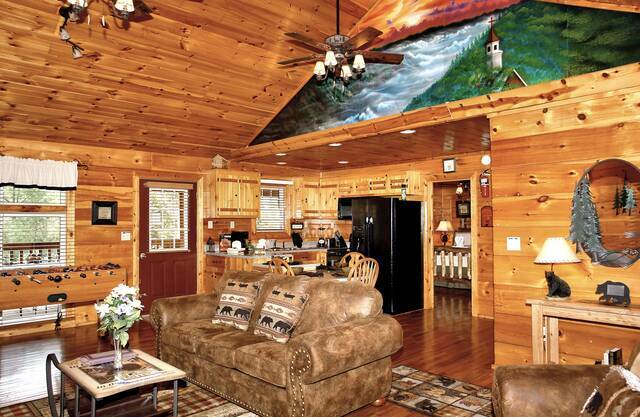 The full size oil mural was hand painted by local craftsman and is a unique conversational work of art and adds to the unique ambiance of this log cabin. The kids and adults will enjoy the sit down arcade game with over 80 games including pac man. 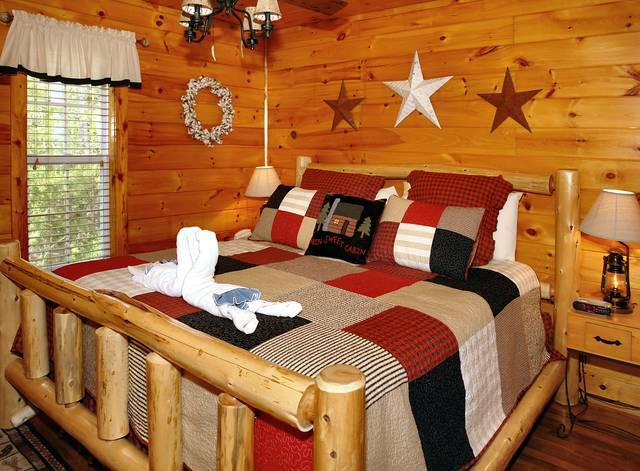 Tranquility log cabin features a master suite with king bed, satellite TV, DVD. 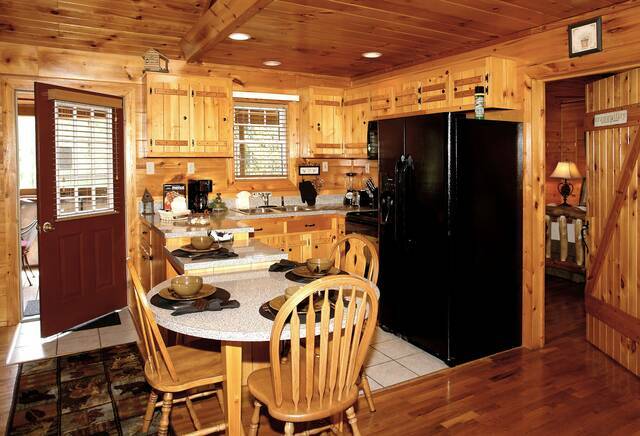 Just off your fully furnished kitchen is the second bedroom with King bed, second TV. 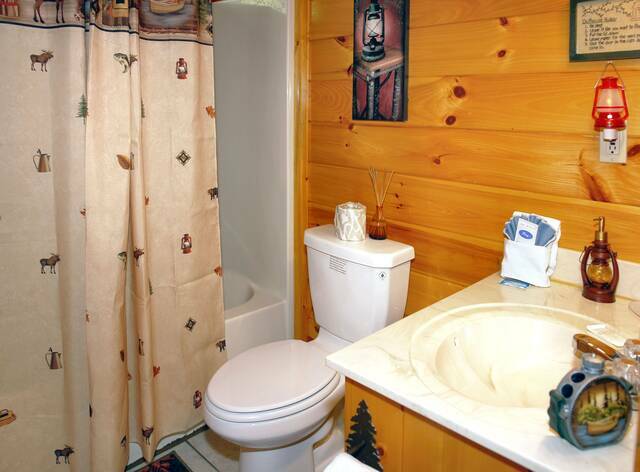 There is a full bath with tub / shower combination and washer and dryer. 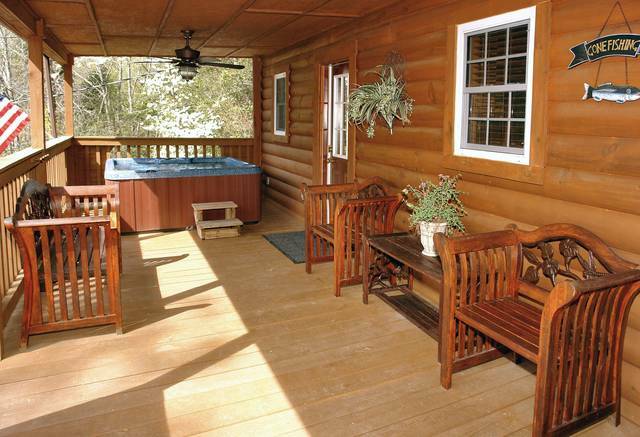 The covered deck features a conversational area with outdoor furniture, retreat to the hot tub and enjoy a relaxing warm water massage. 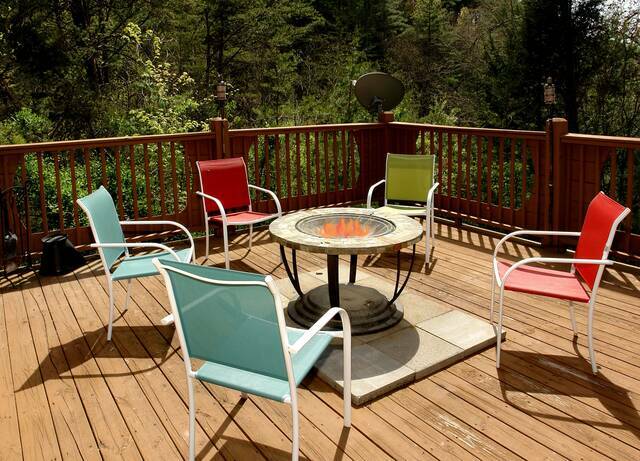 Use the 'cat walk' to retreat to the raised deck platform with ample setting and a wood burning "fire pit", perfect for enjoying the splendor of the beautiful sunsets you will experience there. The natural beauty of this setting would also be perfect for a romantic cabin wedding! 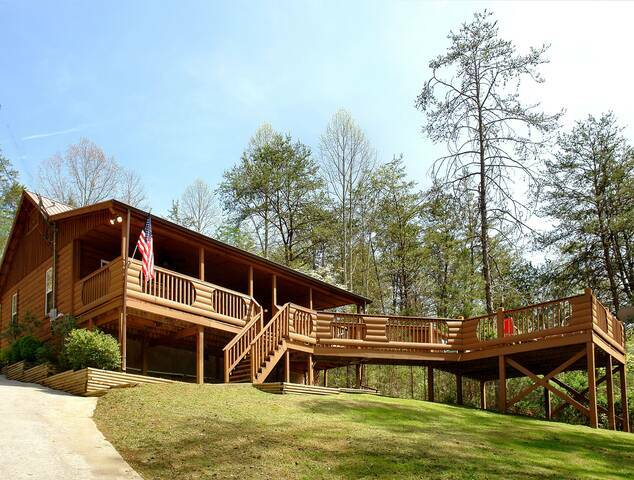 Tranquility Log Cabin also features a paved driveway with carport and just off this area is a "park like Charcoal Grill", perfect for those family picnics. 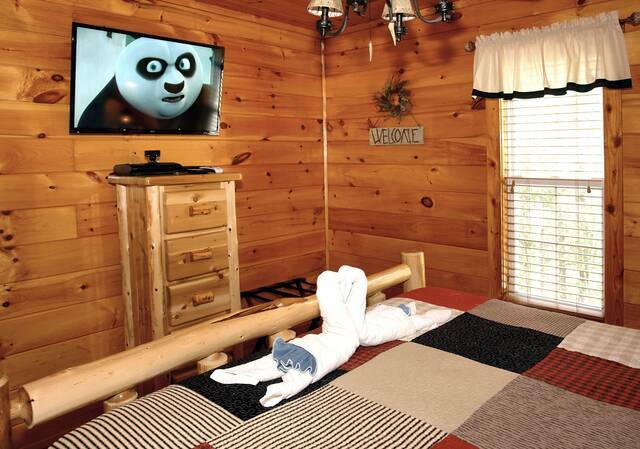 DO NOT rent this cabin unless you need to experience "Tranquility"! 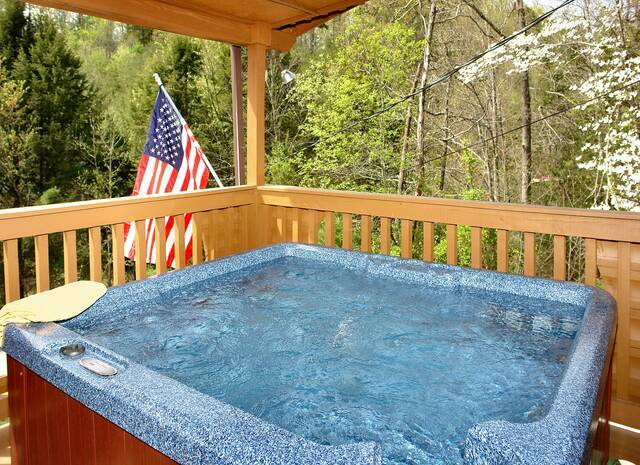 "Tranquility" welcomes small pampered pets in this "Pet Friendly Pigeon Forge and Gatlinburg Cabin Rental" great for those pets who enjoy a romp in the country!